July 7, 2015 - No Comments! Bret Victor's Magic Ink essay galvanised me in to pursuing UXD as a career. For my Fate prototype, I tried out his natural language concept for setting a new filter. It was quite fiddly to do but I really think it's a much smoother experience than conventional input methods. As mentioned in my previous post, my Fate prototype is made up of three main tabs. The third tab is for the user to set up filters to mine the waste data gathered through the smart bin. 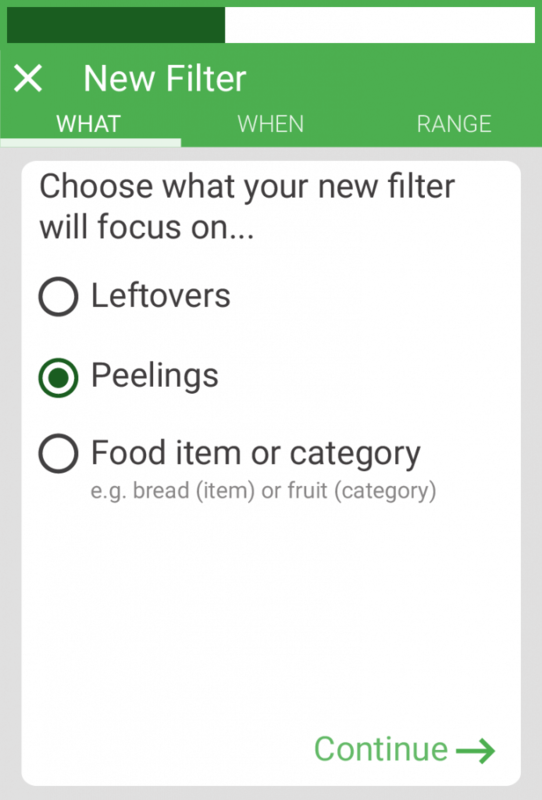 Want to track all those leftovers you're throwing away each night? Or track how much fruit you're wasting, and see if you can reduce it next month? This is the place to do it. Setting up a new filter is a manipulation heavy process, having to manage numerous variables across many data types - something that doesn't lend itself to a magical experience. Before realising I was making the very kind of experience I want to end. Then remembering Bret Victor's Magic Ink essay, and the part where he describes a natural language interface for configuring notifications, I changed track and tried to apply it to my New Filter stage. We actually discussed this input method in my General Assembly class recently, using Tianhe Yang's Shutterdial as an example (try it in a desktop browser), but it didn't get the rapturous reception I had hoped for. Still, I've decided to try natural language with my prototype, again animating in After Effects, making GIFs in Photoshop, and using Marvel to string a prototype together (more detail in my previous blog post). I did some user testing of my prototype yesterday, and have some great feedback for improvements. My final presentation is soon, so hopefully I can implement them in time.